The first lucky early bird winner is Alicia Bassett-Smith. 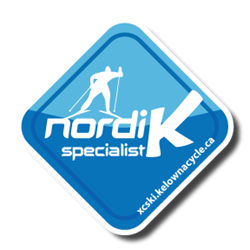 She will soon be smiling every time she drives up to Telemark because her car is getting an extreme pamper courtesy of Kelowna Toyota, our racing team’s Premier Official Title Sponsor. Next draw, for a $100 MEC gift certificate, is October 31. Don’t miss this one — buy your seasons pass now. Also, our Ski League programs (Bunnies, Jack Rabbits, Adventurers, and our new Track Attack) are filling up quickly. Click here to register for Ski League. We are in a fierce competition with Caledonia (Prince George) again this year for the Cross Country BC membership contest. We are fighting hard to capture the title 2 years in a row. Please encourage your family, friends, neighbours, and co-workers to buy a seasons pass at early bird prices.